Tinysine 3G Cellular Shield provides you a way to use the 3G/GSM cell phone network to receive data from a remote location. This 3G shield has better coverage, GSM backwards-compatibility and even sports a built-in GPS module for geolocation & asset tracking. 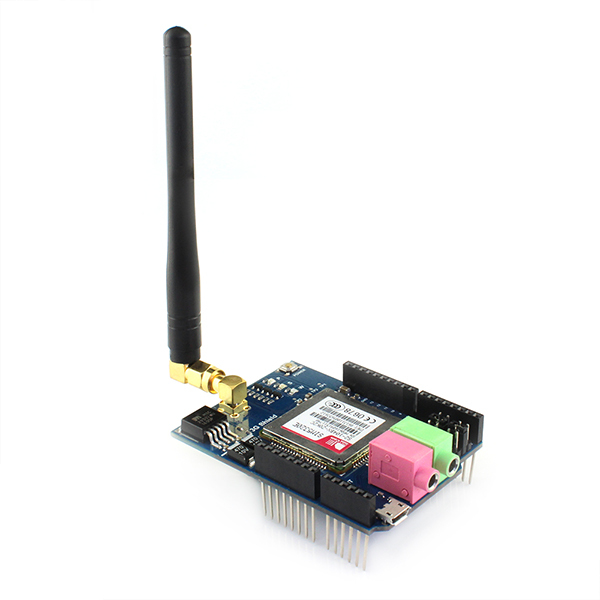 This all-in-one cellular phone module with that lets you add location-tracking, voice, text, SMS and data to your project in a single shield.If 3G shield current firmware does not meet your needs, now you can upgrade the firmware by yourself. 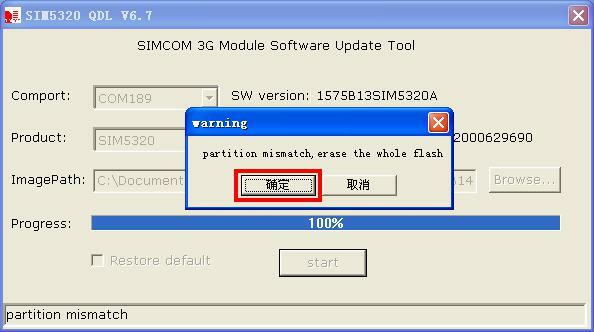 Note: Upgrading firmware have the risk of damage the SIM5320A/E module. Be careful to process. 1.Download Arduino Library and unzip the ZIP file. 2.Check that the Adafruit_FONA folder contains Adafruit_FONA.cpp and Adafruit_FONA.h.Place it alongside your other Arduino libraries, typically in your (home folder)/Documents/Arduino/Libraries folder. 3. Re-start the Arduino IDE. 1. 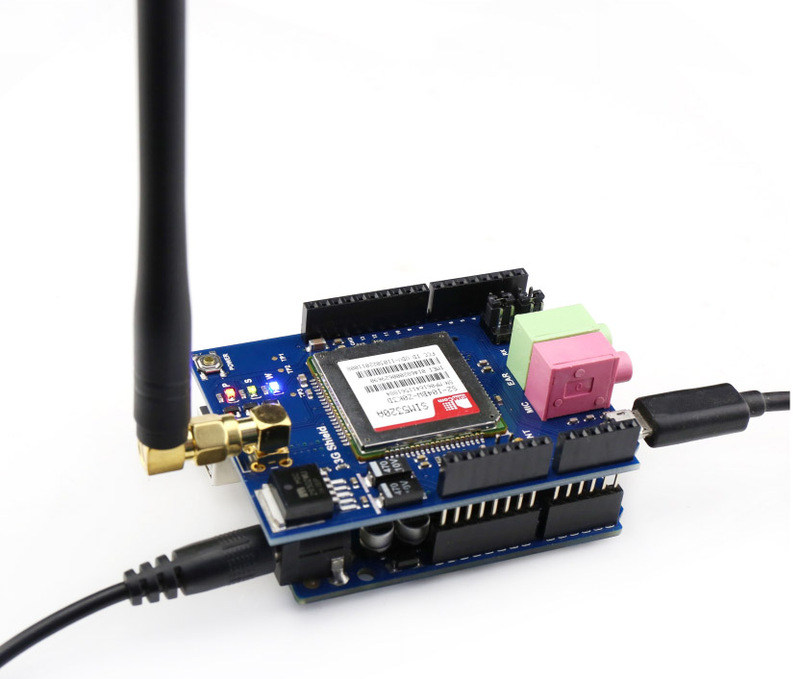 Stack the 3G shield on the Arduino board(Here we use Arduino UNO), then connect your Arduino board to your computer with USB cable. 2. We'll be using soft serial to talk with the SIM5320x module, Here we set TX-2,RX-3 on the 3G shield. And press the small POWER button for about 4 seconds to turn the 3G shield ON. 3. Select your board type and serial port from the Tools menu,Open up File->Examples->Adafruit_FONA->FONA3G_setbaud and upload it to your Arduino board. 1. Stack the 3G shield on the Arduino board(Here we use Arduino UNO), Power the Arduino board with DC9V power supply and connect the TinySine 3G shield to your computer with microUSB cable. 2.Press the small POWER button for about 4 seconds to turn the 3G shield ON. Then the computer will recognize a multi-type USB connection. If you are the first time to download the driver and choose to install the appropriate driver according to your computer system. 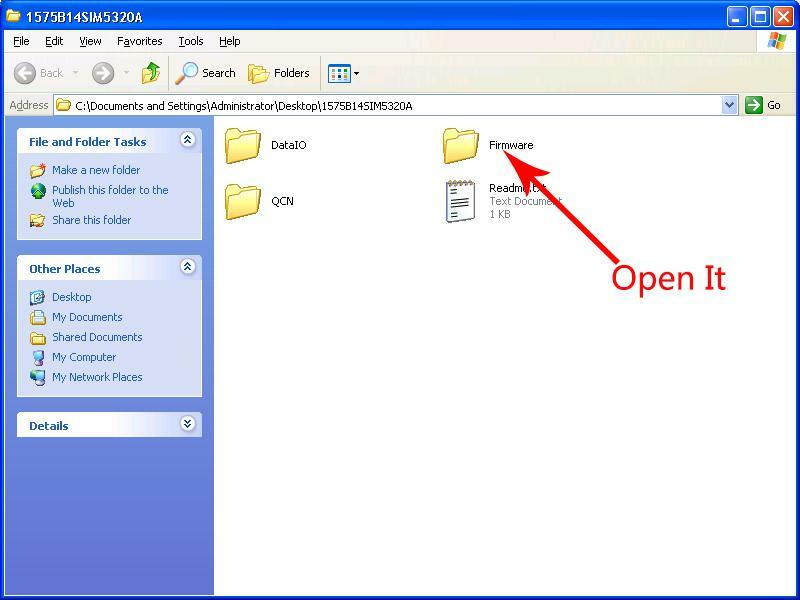 3.Download 1575B14SIM5320A and unzip the ZIP file. 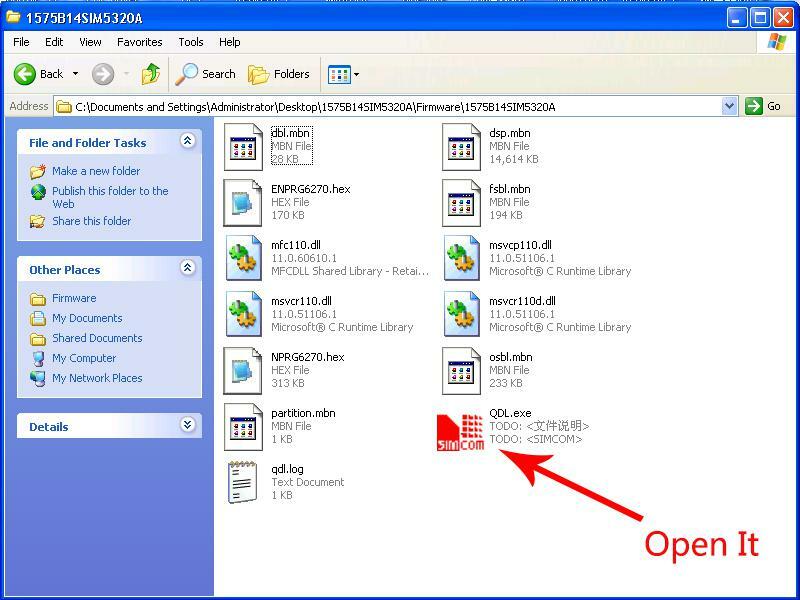 Open the folder, you will see that there are four files, and then open the folder named Firmware. 5. 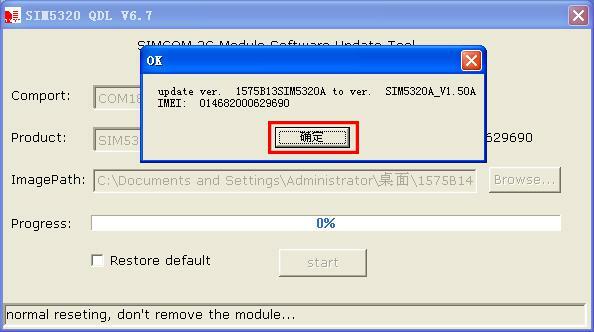 The software will auto detecting the SIM5320x and get the module information. 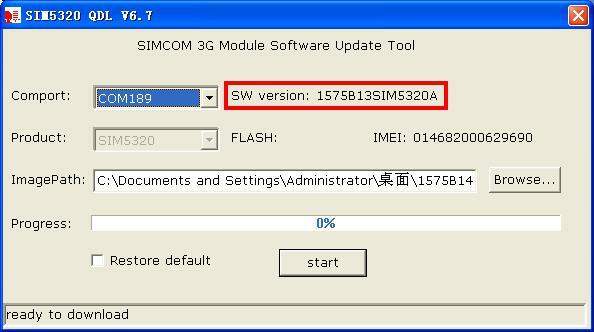 Here you can see the module firmware SW version is 1575B13SIM5320A. Then you just need to click "start" button to start the firmware upgrade. 6. The module will automatically shut down few seconds later. And the software will pop up the following dialog, you just only need to click button. 7. During the upgrade, the module will automatically restart, and the software will pop up the following dialog, you only need to click button. 8. After a moment, the software all drop box will become blank. DON'T close the software. 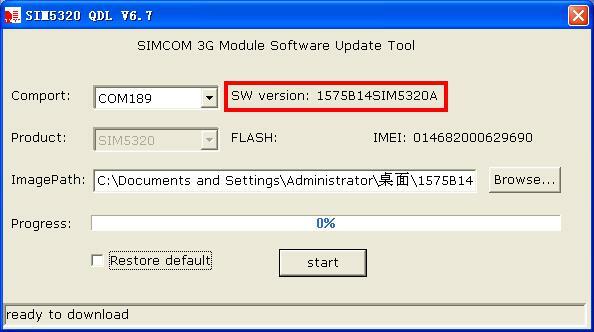 And then wait a while, when the interface as shown below,then upgrade successfully and the SW version is 1575B14SIM5320A.